The Special Forces Qualification Course, also known as the Q Course, is infamous in U.S. Army lore. It transforms conventional soldiers, through blood, sweat, and tears, into unconventional guerrillas. As a young soldier, Schwalm earned his own Green Beret there. Later, he was the commander of Special Forces officer training at Fort Bragg, evaluating and redesigning the crucible in which leaders face brutal tests of physical strength, stamina, and wits. 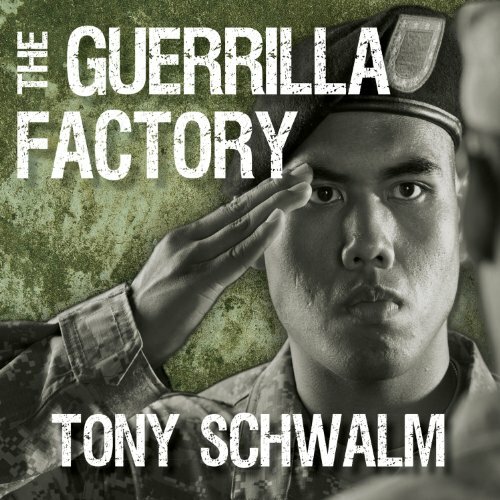 The Guerrilla Factory is the engaging and compelling story of Schwalm's experience there as a student (from selection to graduation) and his time as the commander of training at Fort Bragg. It is a story of young soldiers striving to become the elite of the elite-of their trials, physical and emotional, and of their triumphs and losses.